As a city, London is constantly evolving and changing, and the housing market is certainly no different. 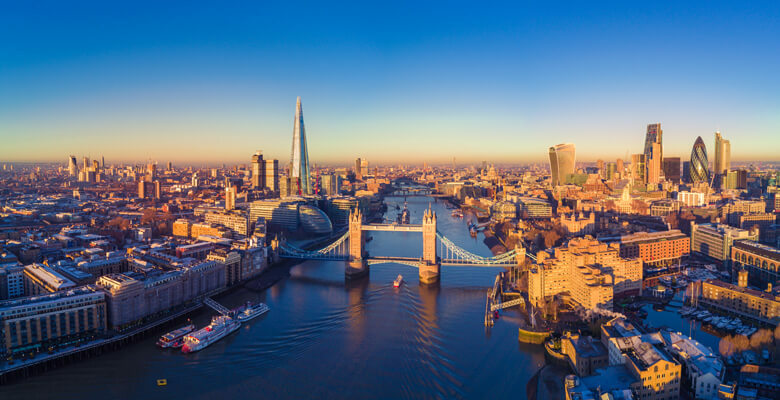 With the looming uncertainty of Brexit, the London property market has been under critical scrutiny throughout the past year. But it’s far from all doom and gloom for the year ahead and the future beyond: If you’re looking for some much needed positivity regarding the capital’s real estate, read on for 7 of the biggest trends set to shape the housing market in 2019. Good news if you’re renting in London (and that’s not a sentence you’ll read often) as Brexit could in fact have saved you some serious cash come the end of the month. According to an analysis of more than 100,000 rental properties listed on Zoopla, tenants in London have saved as much as £1,800 pa. Since 2016, rent price growth is almost 3% lower than the projected growth rate due to fewer EU migrants and priced-out Londoners quitting the capital. A doubled-edged sword. Despite all that you may hear – the eternal allure of London remains stronger than ever. Knight Frank reported a 12.5% increase in prospective first-time London buyers in the third quarter of 2018, and a 31% overall rise in prime central property since 2016. Buyers are more cautious nowadays though, the number of viewings before sealing the deal has risen to its highest level in over five years. Savills predicts that the uncertainty Brexit has caused for the central London housing market won’t last too long. They estimate that the market will bounce back in 2021, with an overall growth of 12.4% over the next 5 years. London is the ultimate comeback kid. The wellness trend continues into 2019 and more and more people are looking for property in London with wellness at its core. For some example, the recently made blueprint of Ori House – an eco-house that’s designed to benefit your health and wellbeing through every aspect that can be built anywhere. It’s the first in the UK to meet both the Passivhaus standard for low energy and low carbon footprint and the WELL Building Standard. Only 15 years ago this formerly nondescript area of the capital was filled with warehouses and not a lot else. Now it’s home to the US Embassy, the Sky Pool, a 115 ft high glass-bottomed swimming pool, and plenty of shops and restaurants. There’s more to come though, in 2019 three new tenants, a gallery, beauty salon and cyclebar will be moving into one of the biggest developments, Embassy gardens, not to mention the 1,400 Apple employees destined for Battersea Power Station – oh, and two new tube stops in 2020. Needless to say, expect a significant rise in demand for property in this area. 7. Really, the only way is up! Soon London will have a skyline to rival New York. A whopping 510 new tall towers are currently in the pipeline over the next decade. The Landmark Pinnacle, E14 is set for completion this year, the tallest residential building in all of Europe.